Twelve Blue Jackets scored in the series, but Bobrovsky, who had struggled in three previous playoff series with Columbus, was the star. Columbus neutralized Lightning stars Nikita Kucherov and Steven Stamkos with a smothering fore check that clogged scoring lanes and often turned into opportunities at the other end. When those two finally got on the scoresheet Tuesday, it was too late. 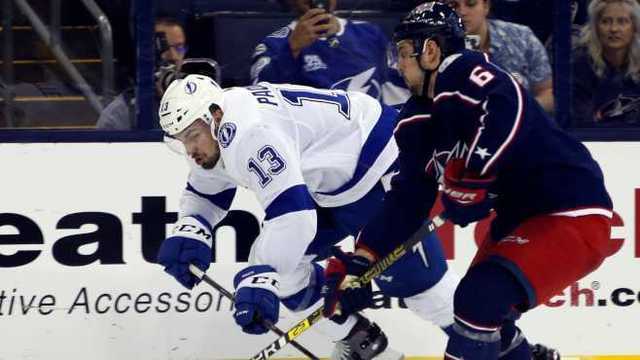 The Blue Jackets fell behind 3-0 in the first period of the opening game in Tampa but rebounded to win that one 4-3. A 5-1 rout followed in Tampa, and then a 3-1 win in Columbus on Sunday night set up the sweep.